I shot Shannon and Darren's engagement session last Summer at their home. On the way there, which seemed like forever...lol, I enjoyed the scenery. When I was almost there I drove past a sea of pink. A field covered in these pink flowers. I was over the moon and was so hoping they would want to make the drive back to that location to shoot some of thier photos there. And they did! I've never been lucky enough to find such a pretty spot of flowers. 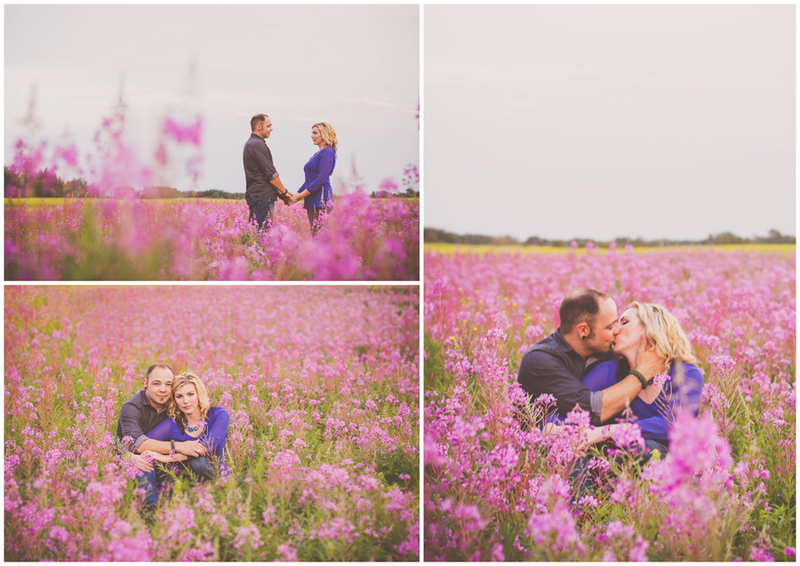 So we started at their house and ended our session in the feild of flowers. My favorite shots of course!